If you’re like Bethany Von Hoff, maybe you didn’t know you wanted a career in healthcare until your first science or biology class sparked your interest. Many students develop an interest in math and science at a young age, and these areas of study essential for any healthcare profession. When Bethany first took advanced science classes, and enjoyed them, that’s when she knew she wanted to have a career in healthcare. 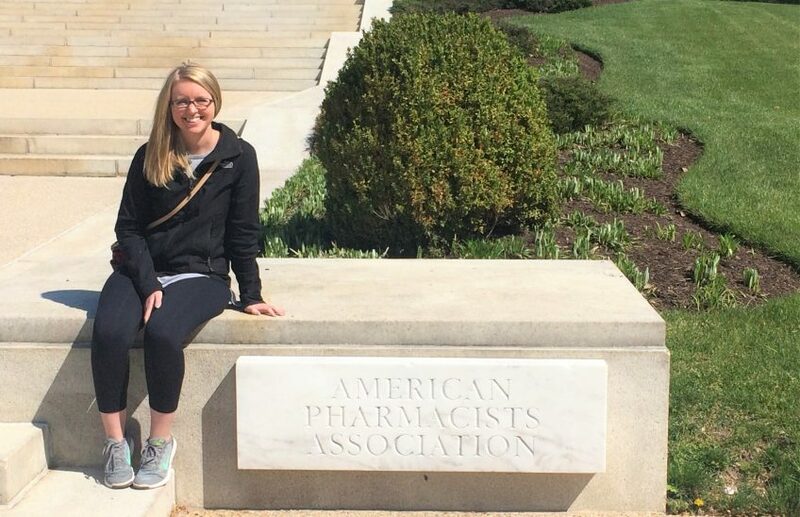 While at first Bethany was unsure about which healthcare angle she wanted to pursue, the more she learned about pharmacy, the more she was excited by how many opportunities and career paths there were. Bethany is currently in her third year of a Social and Administrative Pharmacy program at the University of Minnesota College of Pharmacy. We sat down with her to learn more about her passion for pharmacy. I recently decided that I want to be a professor who teaches future pharmacy students, but I currently work in community pharmacy, and I do love that. I have also considered the possibility of being a medical science liaison pharmacist or work for an insurance company. The interview was the most important part. I had read about a lot of pharmacy schools online and talked to people that had gone to the schools, but until you actually visit the school and see it for yourself, it’s really hard to know where you want to go. The school I thought I would never go to is the one I ended up at. And the school I thought would be my first choice I actually liked the least. I love learning information in the classroom and then seeing how you can use it in the real world to help actual patients. Once you feel like you can actually apply your classroom knowledge, it’s great! Yes! Your classmates are a huge help throughout pharmacy school. You study together and help explain things to each other when you don’t quite get it. Pharmacy school can be stressful, so you need a good support system from your classmates. What advice would you give a high schooler who is interested in pharmacy? While you have to take lots of math and science classes to get into pharmacy school, make sure to find other areas that interest you and that you’ll enjoy. Some of the best pharmacists I know are people who are well rounded and have lots of interests outside of science. Think pharmacy school may be right for you? Learn more here.